No, this isn’t from a video game! This is a photo from a rooftop in Hong Kong’s Wanchai neighborhood overlooking Causeway Bay and Happy Valley. 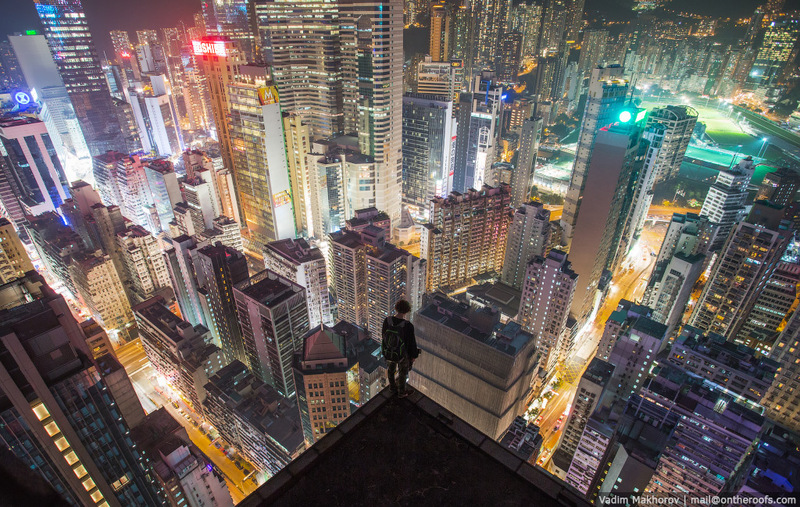 Rooftoppers Vadim Makhorov and Vitaliy Raskalov took several trips to Hong Kong scaling skyscrapers, taking pictures, and even hacking a huge billboard.